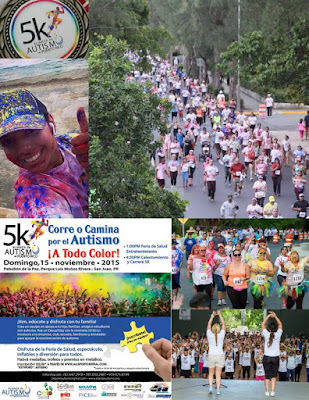 Estaremos entregando los PAQUETES DE CORREDORES Y VENDIENDO CAMISAS este VIERNES 13 de noviembre en GALERÍA PASEOS solamente de 12m a 7:30pm. Estaremos en LA TIENDA VACÍA. Queda en el 2do piso frente a Me Salvé y Joyería Carrión y entre Coquetísima y Sears. Para dirección del Mall pulsa: http://www.galeriapaseos.com/location/ ¡Pásalooo!!! De no poder asistir los pueden recoger el mismo día en el Pabellón de la Paz desde la 1:30 pm hasta las 4pm. 1. 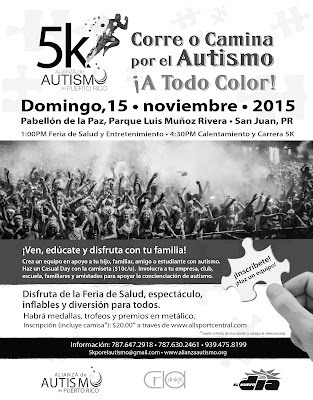 FERIA DE SALUD Y ENTRETENIMIENTO GRATIS PARA TODA LA FAMILIA - Desde la 1pm venga con su familia ya que tendremos GRATIS exhibidores, juegos para chicos, inflables, entretenimiento, música, circo y cernimientos del desarrollo, habla y autismo. 2. 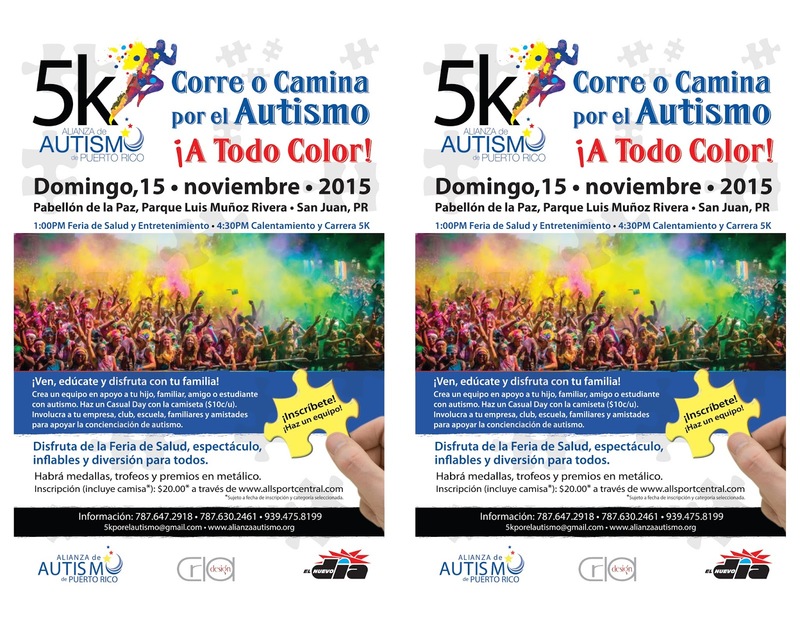 CARRERA A COLORES 5K - Calentamiento 4:30pm y Carrera 5:00pm. 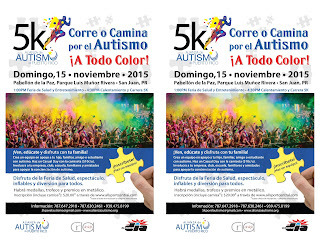 Inscripción www.allsportcentral.com, en Galería Paseos viernes 13 de 12m a 730pm en La Tienda Vacía al lado de Sears 2do piso, o el mismo día (precio sube a $27 y $30). ESTE SÁBADO 7 Y DOMINGO 8 EN GALERÍA PASEOS (horario del Mall). Estaremos en LA TIENDA VACÍA. Queda en el 2do piso frente a Me Salvé y Joyería Carrión y entre Coquetísima y Sears. Para dirección del Mall pulsa: http://www.galeriapaseos.com/location/ ¡Pásalooo!!! ¡GRACIAS A GALERÍA PASEOS POR CEDERNOS EL ESPACIO! La salida será al lado sur del Pabellón de la Paz del Parque Luis Muñoz Rivera, frente al Condominio Torre de la Reina en la Avenida de la Constitución (carr. 25). La ruta irá por esta avenida en dirección al este y virará a la izquierda frente al Tribunal Supremo tomando la Ave. Muñoz Rivera en dirección al Viejo San Juan. Al llegar a la Casa Olímpica, justo antes del Casino, daremos vuelta y bajaremos hacia la Avenida de la Constitución. Pasaremos frente al Capitolio y seguiremos directo hasta la llegada en la Calle San Agustín. 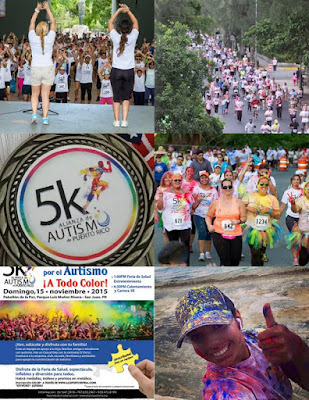 Nombre de evento: CORRE O CAMINA POR EL AUTISMO ¡A TODO COLOR! SU DONATIVO ES IMPORTANTE. SU PARTICIPACIÓN AYUDARÁ A LA CONCIENCIACIÓN DEL AUTISMO PERO SU DONATIVO NOS DARÁ EL EMPUJE PARA LOGRAR AYUDAR A MÁS FAMILIAS TOCADAS POR EL AUTISMO. 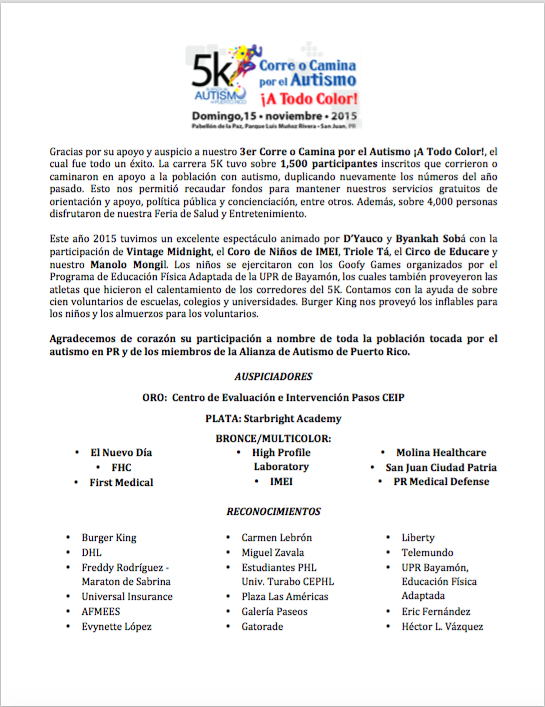 ¡MUCHAS GRACIAS POR SU DONATIVO! 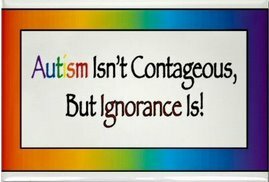 I understand that participating in this event is potentially hazardous, and that I should not enter and participate unless I am medically able and properly trained. In consideration of the acceptance of this entry, I assume full and complete responsibility for any injury or accident which may occur while I am traveling to or from the event, during the event, or while I am on the premises of the event. 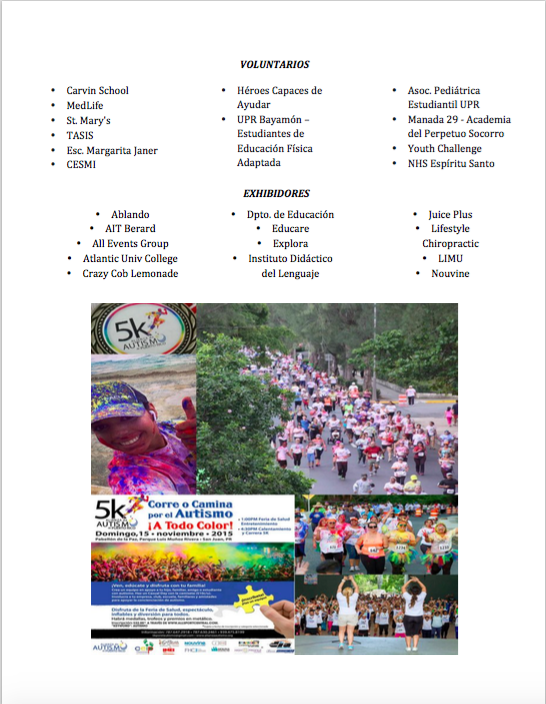 I also am aware of and assume all risks associated with participating in this event, including but not limited to falls, contact with other participants, effect of weather, traffic, and conditions of the road. I, for myself and my heirs and executors, hereby waive, release and forever discharge the event organizers, sponsors, promoters, AllSportCentral.com and each of their agents, representatives, successors and assigns, and all other persons associated with the event, for my all liabilities, claims, actions, or damages that I may have against them arising out of or in any way connected with my participation in this event. I understand that this waiver includes any claims, whether caused by negligence, the action or inaction of any of the above parties, or otherwise. 1. Authority to Register and/or to Act as Agent. You represent and warrant to AllSportCentral.com, Inc. ("AllSportCentral") that you have full legal authority to complete this event registration on AllSportCentral, including full authority to make use of the credit or debit card to which registration fees will be charged. In addition, if you are registering third parties, you represent and warrant that you have been duly authorized to act as agent on behalf of such parties in performing this event registration. By proceeding with this event registration, you agree that the terms of this Registration Agreement shall apply equally to you and to any third parties for whom you are acting as agent. Compliance with Children's Online Privacy Protection Act (COPPA). You represent and warrant that, in compliance with COPPA, you are over thirteen (13) years of age, and that if you are registering a child under fourteen (14) years of age you are the parent of such child, and do hereby consent to the collection of such child's personal information by AllSportCentral. 2. Limitation of Liability; Disclaimer of Warranties. AllSportCentral SHALL NOT BE LIABLE FOR ANY DIRECT, INDIRECT, INCIDENTAL, SPECIAL OR CONSEQUENTIAL DAMAGES, RESULTING FROM (A) THE USE OR THE INABILITY TO USE AllSportCentral OR (B) FOR THE COST OF PROCUREMENT OF SUBSTITUTE GOODS AND SERVICES OR (C) RESULTING FROM ANY GOODS OR SERVICES PURCHASED OR OBTAINED OR TRANSACTIONS ENTERED INTO THROUGH AllSportCentral OR (D) RESULTING FROM UNAUTHORIZED ACCESS TO OR ALTERATION OF YOUR TRANSMISSIONS OR DATA, INCLUDING BUT NOT LIMITED TO, DAMAGES FOR LOSS OF PROFITS, USE, DATA OR OTHER INTANGIBLE, EVEN IF AllSportCentral HAS BEEN ADVISED OF THE POSSIBILITY OF SUCH DAMAGES. YOU EXPRESSLY AGREE THAT USE OF AllSportCentral IS AT YOUR SOLE RISK. AllSportCentral IS PROVIDED ON AN "AS IS" AND "AS AVAILABLE" BASIS. AllSportCentral EXPRESSLY DISCLAIMS ALL WARRANTIES OF ANY KIND, EXPRESS OR IMPLIED, INCLUDING WITHOUT LIMITATION ANY WARRANTY OF MERCHANTABILITY, FITNESS FOR A PARTICULAR PURPOSE OR NON-INFRINGEMENT. AllSportCentral makes no warranty that the AllSportCentral sites' services will be uninterrupted, secure or error free. AllSportCentral does not guarantee the accuracy or completeness of any information in, or provided in connection with, the AllSportCentral sites. AllSportCentral is not responsible for any errors or omissions, or for the results obtained from the use of such information. You understand and agree that any material and/or data downloaded or otherwise obtained through the use of the AllSportCentral sites is at your own discretion and risk and that you will be solely responsible for any damage to your own computer system or loss of data that results from the download of such material and/or data. 3. Indemnification. You agree to indemnify and hold each of AllSportCentral and its officers and employees harmless from any claim or demand, including reasonable attorneys' fees, made by any third party due to or arising out of your use of AllSportCentral or the violation of any term of this Liability Waiver or the AllSportCentral Terms of Service by you. 4. Applicable Law; Consent to Jurisdiction. The AllSportCentral sites (excluding linked sites) are controlled by AllSportCentral from its offices within the State of South Dakota, United States of America. By completing this event registration, both you and AllSportCentral agree that the statutes and laws of the State of South Dakota, without regard to the conflict of laws principles thereof, will apply to all matters relating to this event registration, this Liability Waiver, or other use of the AllSportCentral sites. You agree that exclusive jurisdiction for any dispute with AllSportCentral resides in the courts of the State of South Dakota and you further agree and expressly consent to the exercise of personal jurisdiction in the courts of the State of South Dakota in connection with any dispute including any claim involving AllSportCentral or its affiliates, subsidiaries, employees, contractors, officers, directors, telecommunication providers and content providers. RENUNCIA Y DESCARGO DE RESPONSABILIDAD RESPECTO A LOS RESULTADOS Y FOTOGRAFÍAS y RENUNCIA Y DESCARGO DE RESPONSABILIDAD RESPECTO A RECLAMACIONES. ESTOY DE ACUERDO EN QUE TODA DECLARACIÓN, RENUNCIA DE DERECHOS, DESCARGO, CONVENIO, CONSENTIMIENTO Y PERMISO QUE YO OTORGUE POR MEDIO DE LA PRESENTE ES OTORGADO A MI NOMBRE Y A NOMBRE DE TODOS MIS HIJOS MENORES DE EDAD O PERSONAS DE LAS QUE YO SOY TUTOR LEGAL Y QUE PARTICIPEN O ESTÉN PRESENTES EN EL EVENTO. 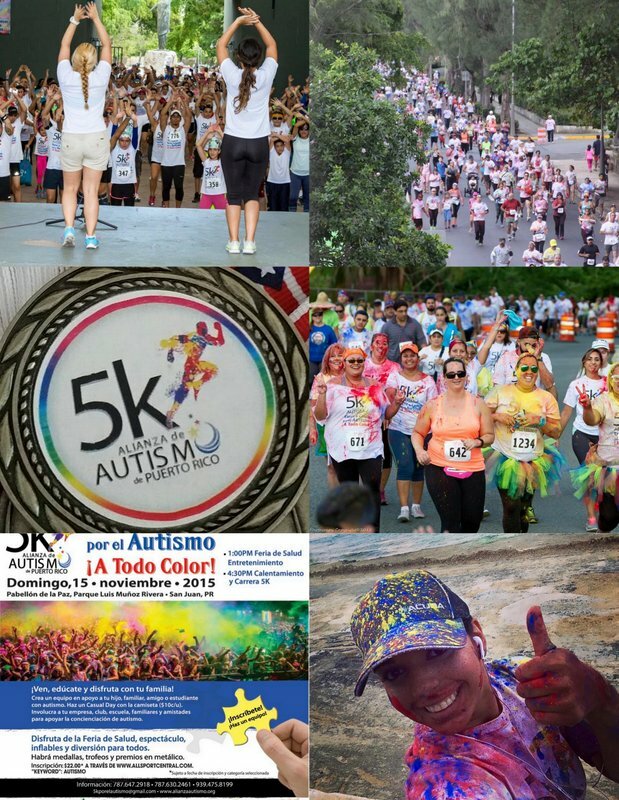 Doy mi consentimiento y autorización a la Alianza de Autismo y Desórdenes Relacionados de P.R., Inc. (ALIANZA), sus afiliadas y carreras, sus patrocinadores, incluyendo patrocinadores corporativos, sus sucesores, licenciatarios, y cesionarios el derecho irrevocable a utilizar, para cualquier propósito y sin compensación, (i) toda fotografía, video-grabación, grabación de audio y demás grabaciones que se hagan de mi persona y mis acompañantes durante el curso de este evento (el “Evento”); y los resultados de mi participación en este Evento (por ejemplo la hora de la carrera, mi nombre y mi número de participante). Entiendo que (i) debo seguir en todo momento las Leyes de Tránsito del Estado Libre Asociado de Puerto Rico y las directrices de las personas encargadas de esta caminata y/o carrera y que por ninguna razón puedo separarme del grupo principal de la actividad; (ii) al dar mi consentimiento a estas disposiciones lo hago en consideración por permitírseme participar en este Evento; (iii) puedo ser removido de esta competencia si no obedezco las reglas de este Evento; y (iv) participo voluntariamente en este Evento. Mi estado físico y de salud es bueno y yo soy la única persona responsable por mi salud personal, mi seguridad, y de los bienes que son de mi propiedad. Reconozco que este evento es una actividad potencialmente peligrosa y por medio de la presente asumo total responsabilidad por cualquier lesión o accidente o reacción alérgica QUE pueda ocurrir durante el transcurso de mi participación en este Evento (INCLUYENDO, SIN LIMITAR, MIS ACTIVIDADES DE RECAUDACIÓN DE FONDOS asociadas con el evento) o mientras ME ENCUENTRE EN LAS INSTALACIONES DEL EVENTO (COLECTIVAMENTE, “MI PARTICIPACIÓN”). ACTUANDO A MI PROPIO NOMBRE ASÍ COMO A NOMBRE DE MIS SUCESORES, FAMILIARES, ADMINISTRADORES, Y ALBACEAS (COLECTIVAMENTE LOS “RENUNCIANTES”), POR ESTE MEDIO LIBERO DE LA FORMA MAS AMPLIA QUE PERMITA LA LEY, EXONERO DE CUALQUIER RESPONSABILIDAD Y ME COMPROMETO A NO ENTABLAR ACCIÓN LEGAL ALGUNA CONTRA (I) LA ALIANZA DE AUTISMO Y DESÓRDENES RELACIONADOS DE P.R., INC. (ALIANZA), A TODAS LAS DEMÁS COMPAÑÍAS AFILIADAS O QUE COLABORAN CON LA ALIANZA Y SUS DIRECTORES, FUNCIONARIOS, VOLUNTARIOS, AGENTES Y EMPLEADOS RESPECTIVOS; (II) LOS PROMOTORES DEL EVENTO; Y (III) TODA PERSONA NATURAL O JURÍDICA ASOCIADA CON ESTE EVENTO (LOS "EXONERADOS"), DE CUALQUIER PERDIDA, RESPONSABILIDAD O RECLAMO QUE PUEDA SURGIR A RAÍZ DE MI PARTICIPACIÓN EN ESTE EVENTO. ESTA RENUNCIA DE DERECHOS O DESCARGO APLICA A TODA PERDIDA, RESPONSABILIDAD O RECLAMO QUE PUDIERA TENER YO EN LO PERSONAL O MIS RENUNCIANTES EN RELACIÓN CON MI PARTICIPACIÓN, INCLUYENDO LESIÓN PERSONAL O DAÑOS SUFRIDOS POR MI O POR OTROS, YA SEA QUE ESTOS SEAN CAUSADOS POR CAÍDAS, CONTACTO CON Y/O LAS ACCIONES DE OTROS PARTICIPANTES, CONTACTO CON OBJETOS FIJOS O NO FIJOS, CONTACTO CON ANIMALES, CONTACTO CON LA SUSTANCIA DE COLORES QUE SERÁ ECHADA A LOS PARTICIPANTES, CONTACTO CON LOS GLOBOS O PARTES DE ÉSTOS, CONDICIONES DE LAS INSTALACIONES DEL EVENTO, NEGLIGENCIA DE LOS EXONERADOS, RIESGOS NO CONOCIDOS POR MI O QUE NO SON RAZONABLEMENTE ANTICIPABLES EN ESTE MOMENTO, O CUALQUIER OTRA CAUSA. COMPRENDO QUE SOY LA ÚNICA PERSONA RESPONSABLE POR TODOS LOS ASPECTOS DE MIS ACTIVIDADES DE RECOLECCIÓN DE FONDOS ASOCIADAS CON MI PARTICIPACIÓN, INCLUYENDO SIN LIMITAR EL QUE SE CONDUZCAN DE MANERA SEGURA Y LEGAL DICHAS ACTIVIDADES DE RECOLECCIÓN DE FONDOS. Esta Renuncia y Descargo de Responsabilidad Respecto a los Resultados y Fotografías y Renuncia y Descargo de Responsabilidad Respecto a Reclamaciones (colectivamente la “Renuncia”) deberá interpretarse conforme a las leyes del estado en el que tenga lugar el Evento. En caso de que cualquier disposición de esta Renuncia sea considerada inválida conforme a la ley aplicable, (i) la Alianza de Autismo y Desórdenes Relacionados de P.R., Inc. tendrá el derecho de modificar dicha disposición en la medida que sea necesario para ser válida; y (ii) todas las demás disposiciones de esta Renuncia continuarán en pleno vigor. Entiendo que he renunciado a derechos importantes mediante la firma de esta Renuncia, y he firmado esta Renuncia de forma libre y voluntaria, sin que se me haya inducido a hacerlo, y sin que se me asegure ni garantice nada respecto a la misma. Mi intención es que mi firma constituya una renuncia completa e incondicional de responsabilidad en la medida más amplia que permita la ley. ☐ AL MARCAR ESTE CUADRADO, RECONOZCO QUE ESTOY DE ACUERDO CON EL RELEVO ARRIBA DETALLADO Y QUE TENGO 18 AÑOS O MÁS. - Escribe a 5kporelautismo@gmail.com, llama al 939-475-8199 o visita www.alianzaautismo.org. - Llama, visita o envíala a la Oficina de Alianza de Autismo, Calle Eternidades X-10, Urb. Villas de Cupey, San Juan. PR. 00926 los Lunes, Jueves y Sábados; Teléfono (787) 283-2092 L, J, S. Envíos por correo deben estar fechados no más tarde del 15 de octubre y recibirse a mas tardar el 19 de octubre para incluirle la camisa gratis. - Visita el Centro de Inscripción en Plaza Las Américas del 15-18 de octubre en nuestro exhibidor frente a los cines. 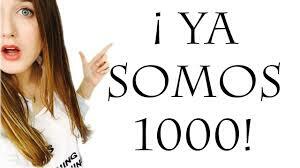 Recuerda que la inscripción incluye la camisa sólo hasta el domingo 18 de octubre. - Recogido de paquetes a partir del 6 de noviembre en la Iglesia Presbiteriana de Puerto Nuevo*. Detalles de horario y lugar a avisarse en www.alianzaautismo.org y www.allsportcentral.com. *Sujeto a cambio. FAVOR ESCRIBIR directora.aapr@gmail.com para recibir este documento en Word. AYUDA ECONÓMICA DISPONIBLE PARA LOS QUE CUALIFIQUEN Y PARA LOS QUE DEN TRABAJO VOLUNTARIO. 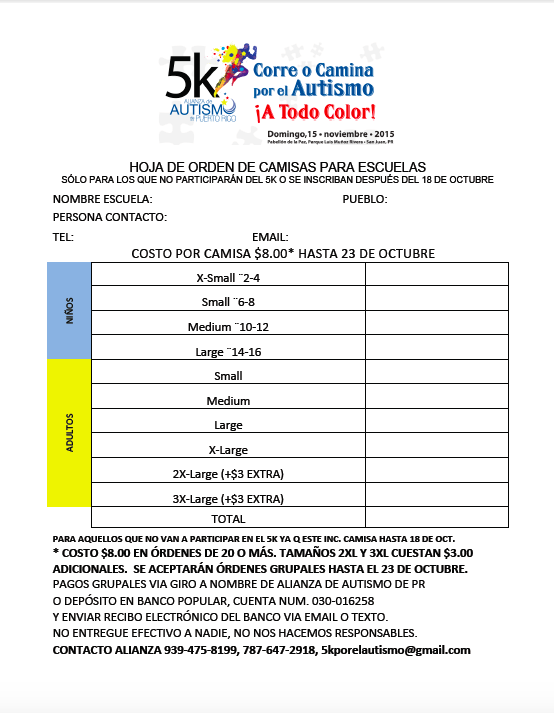 *Miembros colaboradores de la Alianza de Autismo con membresía de 2015 recibirán un descuento de $50 en base a un mínimo de 10 horas de trabajo voluntario en la Casa de la Alianza de Autismo en Arecibo previo a y/o durante el programa recreativo-deportivo. ** Dieta regular. Si su chico tiene dieta especial debe enviar todas las comidas, además de las meriendas. Debe venir ya desayunado. b. Certificado de Vacunas P-VAC 3 Modelo 84 (COPIA) Hoja verde. 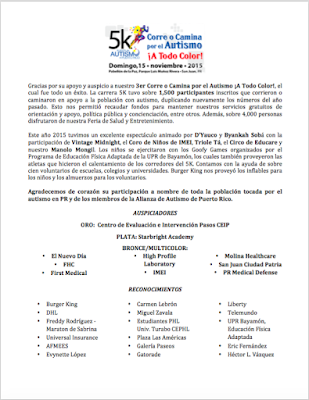 d. Copia tarjeta de seguro médico privado del participante. e. Completarla solicitud en todas sus partes. Nota: No se devolverán documentos requeridos en la solicitud. Favor de conservar los documentos originales. 2. Fecha límite para saldo de balance: 30 de junio de 2015. 3. Pagos del programa: Dinero NO reembolsable. Los pagos del Programa serán procesados únicamente a través del personal de la oficina. No está permitido entregar pagos del programa a empleados, voluntarios, etc. y debe exigir un recibo. 4. Vencimiento de pago: El costo del programa debe ser cubierto en su totalidad previo a comenzar el programa. 5. Vestuario: T-shirts del programa (costo de $10.70, IVU incluido) y pantalón corto. Por la seguridad del participante no serán admitidos al programa participantes que no estén debidamente identificados con su T-shirt del programa, pantalón corto apropiado, tenis, traje de baño (para niñas de una sola pieza), toalla, gorro de piscina (para niñas y niños con pelo largo) y un pantalón largo viejo. Deben traer una moda de ropa incluyendo ropa interior. No está permitido hacer ningún tipo de alteración a la T-shirt del programa. 6. Pertenencias: No prendas, No juguetes, No juegos electrónicos. No nos hacemos responsables por artículos no autorizados traídos al programa. Todas las pertenencias incluyendo ropa, toallas, trajes de baño, tenis, etc., deberán ser debidamente marcados con el nombre del niño (a) con tinta impermeable y traídas en una caja plástica tamaño zapatos rotulada con el nombre del niño en un lado. Habrá un área especial para guardar las cajas y loncheras. 7. Actividades especiales: Durante cada sección del programa, como parte del programa podremos tener visitas fuera de la Casa. El enviar a su hijo ese día conlleva que autoriza que viaje en la transportación que coordinemos para los participantes y tiene un costo adicional. 8. Meriendas y Dietas especiales: Todos los niños(as) deberán traer su agua (mínimo 3 botellas), jugos y meriendas. Si tiene dieta especial, debe proveerle almuerzo también. El desayuno debe ser provisto en casa. 9. 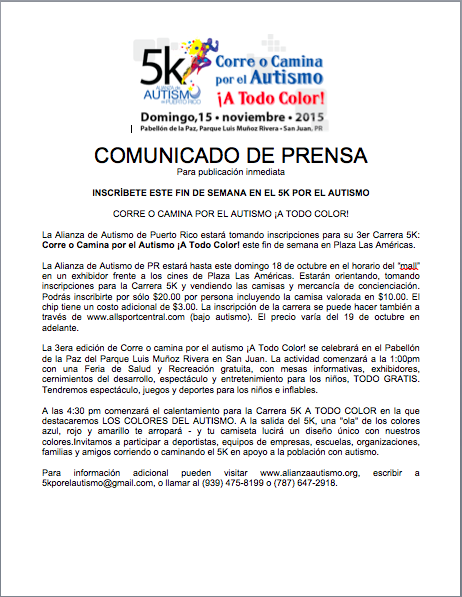 Fotos y Videos: Reconozco que la Alianza de Autismo y Desórdenes Relacionados de Puerto Rico, Inc. se reserva el derecho de utilizar videos, audio grabaciones, diapositivas y/o fotografías de mi hijo (a) para propósitos lícitos de publicidad, promoción, mercadeo, y/o relaciones publicas y que no habrá ningún tipo de remuneración. 1 Ausencias: No se reponen ausencias bajo ninguna circunstancia. 1 Comidas: Los almuerzos serán provistos por nosotros. Si su niño tiene dieta especial y los alimentos provistos no la cumplen, usted deberá proveerla. Recuerde que su niño debe haber desayunado y que debe traerle sus meriendas y mucha agua. 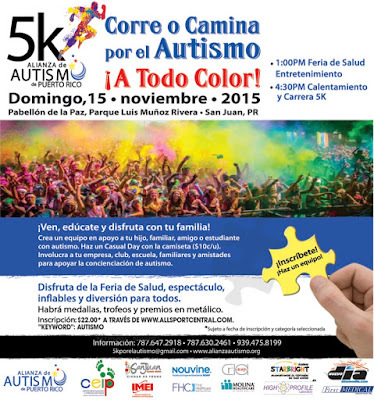 Accidentes: De ocurrir algún accidente o emergencia, la Alianza de Autismo y Desórdenes Relacionados de Puerto Rico, Inc. procederá a comunicarse con un adulto padre/madre/encargado identificado en la solicitud del participante y trasladara al participante a un hospital o dispensario. Debe entregar copia de la tarjeta del seguro medico con su matrícula para tenerlo disponible en caso de ser necesario. Yo, __________________________________, Padre, madre o encargado, custodio, autorizo a la Alianza de Autismo y Desórdenes Relacionados de Puerto Rico, Inc. a llevar a mi hijo(a) a un hospital o dispensario en caso de un accidente. 1 Hora de llegada y salida: Los padres o encargados tienen que recoger y entregar al participante en el lugar indicado y firmar la hoja de asistencia al líder o encargado al recogerlo todos los días. La hora de llegada es a las 8:00 am y la salida es a las 2:00 pm y debe ser puntual. Favor de indicar los nombres y la relación con el participante de las personas autorizadas a recoger al participante a la hora de salida. 1 De igual forma, le agradecemos el que nos indique el nombre de alguna persona que (con documento legal) no esté autorizado a recoger o tener contacto con su hijo (a). 1 Transportación: Si el participante va a utilizar transportación pública a la hora de salida, deberá estar autorizado por sus padres o encargado con un documento legal, ante notario, el cual entregara con esta solicitud. 1 Conducta, Adaptación, etc. : La administración podrá cancelar el servicio a los participantes del programa en su totalidad o parcial, debido a situaciones de adaptación, conducta, entre otros que a pesar de nuestros esfuerzos por acomodarles se nos haga imposible sin afectar la dinámica del grupo. Padres, haremos lo que esté en nuestras manos para que su chico/a pueda participar del programa, éste sería el último recurso. El/ la participante deberá seguir las normas establecidas en el Reglamento del Programa. 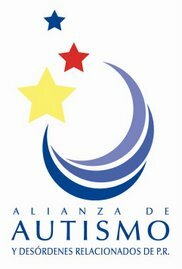 1 Estacionamiento: Favor de utilizar los espacios de estacionamiento establecidos y seguir las indicaciones del “Staff” de la Alianza de Autismo y Desórdenes Relacionados de Puerto Rico, Inc. durante las horas de entrada y salida: Es imprescindible que respetemos las marquesinas de los vecinos, áreas de no estacionarse, instrucciones del Staff, líderes y/o representantes de la Alianza de Autismo y Desórdenes Relacionados de Puerto Rico, Inc. Padres favor de mantener un ambiente de respeto y de sana comunicación tanto fuera como dentro de las facilidades. Gracias! 1 Las secciones de programa y/o días de servicios pueden ser suspendidas sin previo aviso de no haber matricula suficiente y por otras razones. 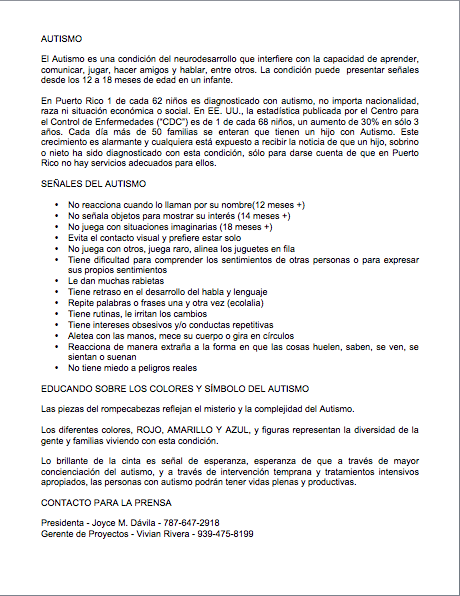 Al matricular al participante en el programa estoy aceptando cumplir con todas las normas y reglas estipuladas en esta solicitud para el ingreso de mi hijo (a) al programa recreativo-deportivo Verano sin Límites para niños con Autismo 2015 de la Alianza de Autismo y Desórdenes Relacionados de Puerto Rico, Inc. aceptando que el programa de actividades recreativas incluye caminatas, salidas, visitas a parques, etc., y que las mismas no se avisan; ya que son parte del programa regular y ya están autorizadas por el padre o encargado al momento de matricular al participante en el Verano sin Límites para niños con Autismo 2015. ¿Cómo se enteró de éste Programa? 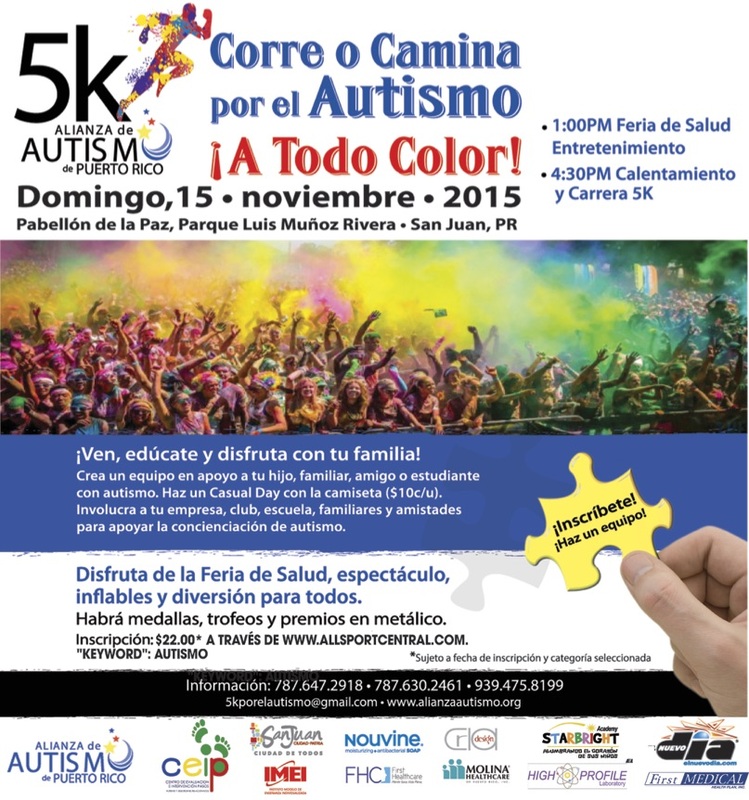 5 Página Web Alianza de Autismo y Desórdenes Relacionados de Puerto Rico, Inc.
¿Ha estado enfermo o expuesto recientemente o actualmente a alguna enfermedad transmisible u operación? ¿Tiene alguna condición o deficiencia física o mental que le incapacite en algo para tomar parte en actividades recreativas o deportivas? Favor de presentar Copia de Tarjeta de Vacunas o Exención y Certificado de Salud vigente. CERTIFICO que he examinado a __________________________________ . Su estado de salud es satisfactorio y le permite realizar actividades deportivas y recreativas, y está libre de enfermedades contagiosas. 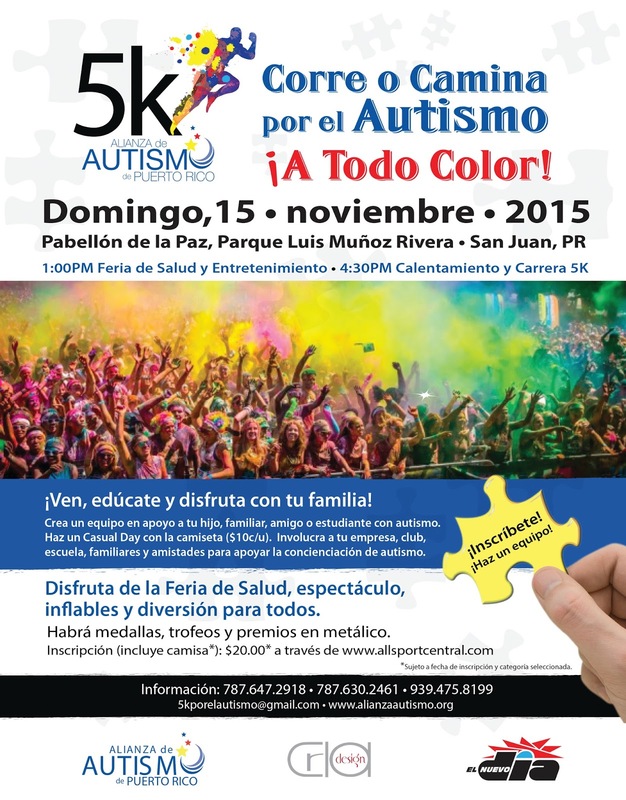 Yo, ________________________________________ (Padre, madre o encargado), autorizo a la Alianza de Autismo y Desórdenes Relacionados de Puerto Rico, Inc. y a sus representantes a llevar a mi hijo(a) _____________________________ a un hospital o dispensario utilizando mi cubierta de seguro médico # _____________________de la compañía ________________________________ como seguro primario y darle el tratamiento necesario. ADJUNTO COPIA TARJETA DE PLAN MÉDICO ____ Y CERTIFICADO DE VACUNAS ____ O EXENCIÓN ____.